What is SureColor F-Series Rewards? SureColor F-Series Rewards is a program designed to reward you for using genuine Epson products with your SureColor F–Series printer. * By joining the rewards program, you'll be able to accumulate points for the Epson Ink and Paper you purchase and register for your printer. Points can be redeemed towards purchase of extended service for your registered printer, or of additional F-Series printers. SureColor F-Series Rewards is an exciting program with great benefits! It's easy to participate in Epson Rewards. All you need to do is register for the program to start earning incredible benefits! *Remember, the SureColor F-Series printers are designed to use only Epson Ink cartridges and refill packs and no other brands of new or refilled cartridges, or other brands of ink or bulk ink systems. Be sure to read all of this Program Summary and Terms, including the Terms and Conditions section below. The Terms and Conditions section contains important provisions about the kinds of communications Epson can send you. How do I register and how do I check my points balance? You're already earning points with SureColor F-Series Rewards! Each qualifying Epson ink or media package you purchase earns you valuable points that can be used towards rewards. Refer to the table below to see how many points each product earns you and check which rewards you can get with your points. * Discounts are off Epson’s MSRP for the product or service which is current at the time points are redeemed. MSRP may change from time to time without notice. ** The extended service contract can cover only an F-Series printer which was registered at the time the printer was purchased. The extended service contract must be purchased before your current warranty term expires. The maximum number of service contracts which may be purchased for any printer is two (total of two years of extended service after the printer's 1yr standard limited warranty expires). To register in the SureColor F-Series Rewards Program and participate to earn points, your F-Series printer must be registered on Epson’s website. Click here to register your printer. PLEASE READ THIS IMPORTANT INFORMATION ABOUT HOW EPSON WILL COMMUNICATE WITH YOU: When you register to participate in the rewards program you must provide us your contact email address. Epson will use your email address to communicate with you about the program (for example, confirming points earned or points redeemed), and to send you marketing and promotional messages about Epson. You expressly consent to these email messages from Epson. You may opt out of receiving marketing and promotional messages by opting out at the link provided in the email message, or by sending Epson an email, at f-seriesrewards@ea.epson.com, telling us of your decision to opt out. The subject line of your email must say: “Request to opt out of marketing messages.” However, you may not opt out of receiving transactional communications that relate to your participation in the Program. Except as provided in the next paragraph, Epson reserves the right to amend, cancel, and modify conditions and/or to cancel, in part or in its totality, the SureColor F-Series Rewards program at any time, on notice to participants. This may include reducing the number of points earned for qualifying purchases, or increasing the number required for discounts on products and services. 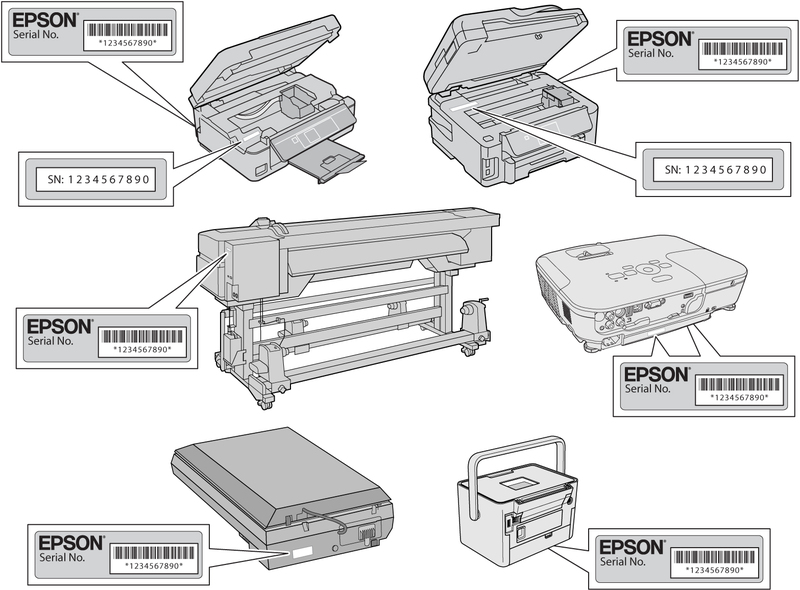 Further, Epson may eliminate, limit, or investigate a participant, or cancel unredeemed points, if there is suspicion of fraud in a participant's purchase or use of Epson products, or abuse of the rewards program or breach of the its terms. Epson will make the Rewards Program available until at least December 31, 2019. Points expire on December 31 of the calendar year following the date the points are registered. For example, if you purchase qualifying inks and register the purchase for points on November 30 of one year, those points expire on December 31 of the next year. Redemption of points for a new F-Series printer is limited by the availability of the printer. Epson cannot guarantee immediate availability. Points may be redeemed only by the owner of the F-Series printer. Points are linked to the printer and serial number which were registered. Points are non-transferrable. All point redemptions are final. Points cannot be redeemed for cash or its equivalent, under any conditions. Points can only be redeemed for discounts towards the products or services described in this Program Summary and Terms document. Points and rewards earned through the SureColor F-Series Rewards Program cannot be combined with any other promotional offer on the purchase of an Epson product. Taxes owed on the purchase of specified products or services using redeemed points are the sole responsibility of the program participant. Points are redeemed for discounts on specified products or services. Discounts are off Epson's MSRP for the product or service which is current at the time points are redeemed. MSRP may change from time to time without notice. Epson reserves the right to reduce a participant's points based on returns or credits for the products that originally earned the points. If your rewards account is closed or the Program is canceled for any reason, membership in the Program is terminated and all points not yet redeemed are forfeited. In addition, points are forfeited at point expiration or for any violation of these terms. The Program is void where prohibited by law. Rewards may not be valid where restricted by law. You can cancel your membership in the Program at any time by contacting Epson at f-seriesrewards@ea.epson.com. Q. Is there a limit to the number of points a user can accumulate? A. No. Points accumulate for each product that is registered. However, points do expire if not redeemed. Q. How do I check my points balance? A. Go to the Epson SureColor F-series rewards site, enter your user name and password, and check your points balance. A. You can earn discounts on new F-Series printers and extended service contracts on registered printers. A. Go to the Epson SureColor F-series rewards site, enter your user name and password, and select your reward. Q. When will I receive my reward? A. When points are redeemed toward purchase of a new F-Series printer, it depends on product availability and shipping time; the latter is the responsibility of the purchaser. Q. Where can I find the terms and conditions of the program? A. Click on the link to view the current terms and conditions. Q. What do I do if I've forgotten my user name and/or password, I am unable to register points or I am having problems redeeming points for rewards? Q. How long will the SureColor F-Series Rewards program last? A. Epson will make the Rewards Program available until at least December 31, 2019. Q. Why is my email address needed and how will it be used? A. Epson will use your email address to communicate with you about the program (for example, confirming points earned or points redeemed), and to send you marketing and promotional messages about Epson. You may opt out of receiving marketing and promotional messages as described in the Program Terms and Conditions. Q. What is a product code and where can I find it? A. Click Here to for printer serial number location. Q. What is the warranty period for my F-Series printer and what does the warranty cover? Q. How many times can I purchase extended service contracts for my F-Series printer using points? A. You can purchase up to two one-year extended service contracts, for a total of three years of printer coverage (one year under the original warranty, plus two more years under two service contracts).